Please email ACScommissioning.support@hertfordshire.gov.uk with the date or dates you are interested in, titled Provider Engagement Events. Agendas will follow closer to the event. Please click here to view the full flyer. Become a Conference Maker for HPFT! We have an exciting opportunity for people interested in volunteering their help for our annual recovery conference. The role of a Conference Maker will be to help the conference run smoothly and make sure people have a good day. The role is voluntary, and all expenses will be paid. 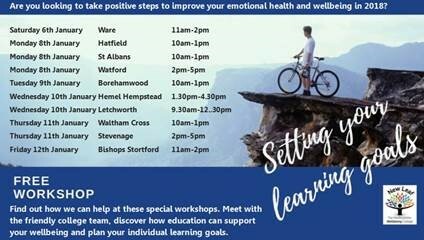 There will be a training session on Wednesday 3 September, 10am – 12pm at Robertson House in Stevenage. A range of roles will be available to suit people's preferences, interests and skills. If you are interested in being a conference maker this year, please email the conference office at: recovery@hpft.nhs.uk or call James on 01727 804206; saying that you are interested in being a conference maker. The “books” in a Human Library are people with expertise in a specific area. When you “borrow” the “book”, you talk to it instead of reading it! If you have any specific questions or areas of uncertainty about the Mental Capacity Act or Deprivation of Liberty Safeguards come and ask the experts!